What woman doesn’t love to be pampered? Unfortunately, pampering yourself can get expensive. Whether you love bath and beauty products or love truffles, the way you choose to pamper yourself may be out of your budget. Or is it? 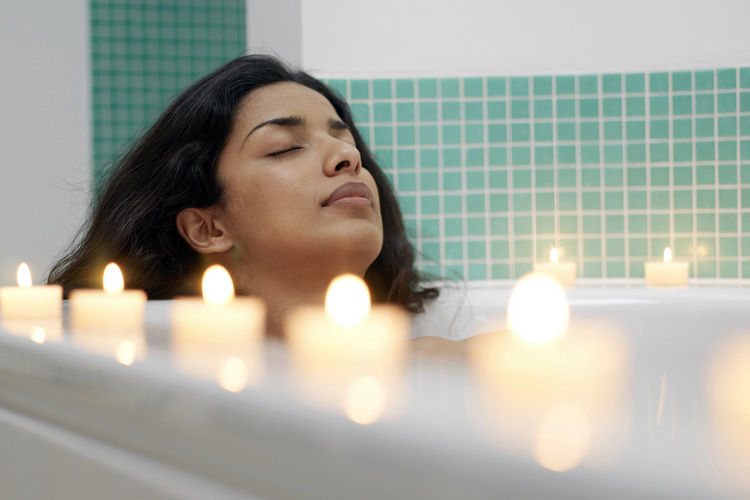 There are actually a number of great ways to pamper yourself on the cheap. Do you love shopping at Bath & Beauty Works? Who doesn’t? They have so many amazing products. Unfortunately, if you go in there are just buy something, it can be expensive. Instead, you want to watch for sales. One of the best sales the store has the is buy 3 get three 3 free sale. This allows you to save so much money. If you’re lucky, you may also have a 20% off coupon that will allow you to save even more. If you love to shop, but don’t have a lot of money, shop the clearance sections. It can be such a great feeling to find awesome items on clearance. If you already clip coupons, you may be able to walk away with items for free. This allows you to pamper yourself through shopping, but can also be a game. Set a challenge for yourself to spend a certain amount and see how many items you can get. If you love truffles, but can’t justify the high price, make your own. All you need to do is heat a can of sweetened condensed milk with a bag of semi-sweet chocolate chips. Once melted, stir in your favorite extra and pour into a glass container and allow to set. Once set, use a small cookie scoop to create balls. You can then roll the balls in powdered sugar, cocoa powder, sprinkles, or chopped nuts. These are super delicious, easy to make, and affordable. If you love pampering yourself by going to the movies, find out the best time to go. For example, many theaters have cheaper prices on Tuesdays. You can also sign up for savings programs that allow you to save on snacks. You’ll be able to treat yourself each week without breaking the bank. Last, but not least, if you love to eat out, sign up for newsletters with all your favorite restaurants. You’ll constantly get great coupons that allow you to eat out at a fraction of the cost. On your birthday, you’ll even get coupons for freebies. You don’t have to spend a lot of money to pamper yourself. Whether you love to eat out or shop, you can find ways to do what you love at a cheaper cost. What are some ways that you pamper yourself without spending a fortune? I love getting coupons from restaurants. Especially the B1G1 entrée coupons. Those always help out big time! I love those coupons, too! We didn't buy one last year and won't this year because of work situations, but I used to love getting the giant coupon books that are sold as fundraisers. We always used enough coupons through the year to more than recoup the cost of the book.